There is no doubt that there are various methods to learn how to unlock android phone without a password. But knowing which one is the best is a pretty hard decision. The users opt out for the methods which are easy to use and have a better chance to work properly. But sometimes, even the most common method fails and this leaves the users in dilemma. But you don't have to worry about it. In this article, we are going to explain the various methods that can be used to unlock the Android phone without a passcode. And in case you are not willing to through them, then we are providing you the best tool you can use to unlock your device without much hassle. Here we are providing 8 different methods that can help you unlock your Android device without a passcode. The best tool that you can try out to learn how to unlock android phone without code is using the Tenorshare 4uKey for Android. The software is specially designed to help the people to unlock their device whenever they forget the passcode or get locked out it somehow. However, it will lead to data loss in the device yet the owner will gain access to the device. Therefore, the users agree that the software is worth the efforts. The key features of the software will help you to gain a clear perspective on the working of the tool. The software can unlock security PIN, Pattern, password, and fingerprint lock easily. It has a wide array of support for various Android device and OS versions. The unlock method is entirely safe and secured. 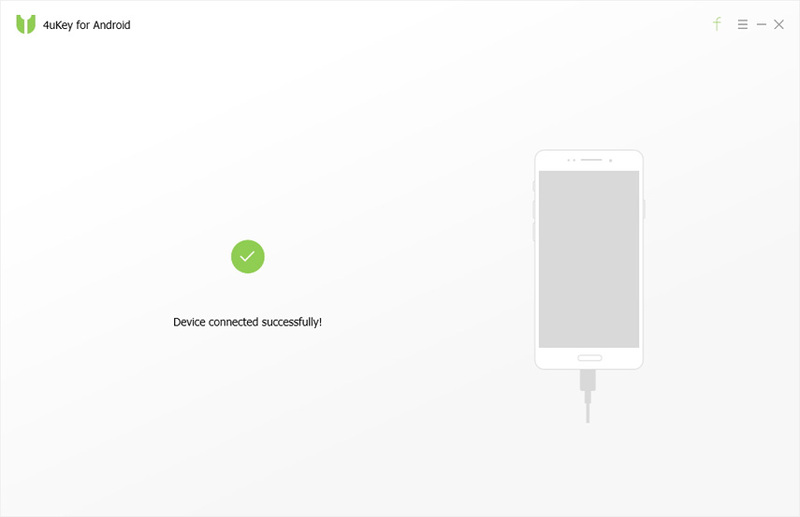 It gives a 100% guarantee that your device will be accessible again. Step 1 Run the software and connect your Android phone using a USB cable. As the device is connected with the system, the software will automatically detect the OS and install a driver compatible with your device. Step 2 Once the device is connected successfully, you will be directed to the removal screen. Tap on the "Remove" option to move forward with the password removal. The software will prepare the data environment by verifying the data package and send the package to your device. Step 3 The software will prompt you stating that the password removal will erase the existing data from the device. Click on the "OK" button and the software will clear up the phone so that it can become accessible once more. As you can see, the software has a very simple and convenient process of removing the passcode from the device. Thus, it is important that you have a look at the highlights of the software too. The Android device manager is the second best method to resolve the problem you are facing. 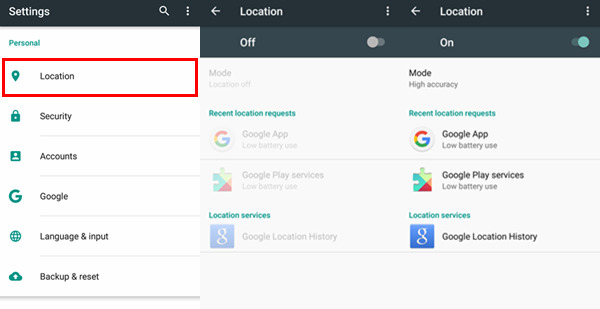 If you've ever used the Android Device Manager, then you might already know how to unlock a locked android phone remotely. This service uses the Google account to access your device and unlock it automatically. Step 1 You need to visit the official website for Google Android Device Manager. If you are not logged in to your computer, then log in with your Google credentials. Step 2 As you log in, you will be redirected to the exact location of the device on the map. As you click on the device name, you will see 3 different options. Step 3 You should tap on the "Erase" button to remove Android password. The "Lock" option enables you to set up a new password, but it can't bypass the password if you forgot it. This will change the password of the device and you will be able to unlock the device with the recently created password. The people who have Samsung mobile phones will be glad to know this that Samsung phones have an additional feature of "Find My Mobile" to help them access their device in such conditions. This way, you can learn how to unlock a locked Samsung Galaxy easily and quickly. Step 1 The first thing you need to do is to open the Samsung Find My Mobile website and log in with your Samsung account. Step 2 Once you are logged in to your account, you will be directed to the home screen interface. On the home screen, you will see various options. Among them, choose the "Lock My Screen" option. Step 3On the right side, you will be asked to create a new pin to lock the device. Enter an easy pin and tap on the lock button. This will lock your device and override the previous lock screen password/pin. Thus, you can also unlock your device without using Google Account. 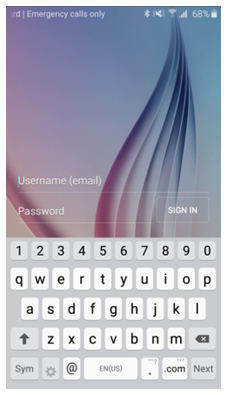 The feature can help every Samsung user to recover their device password easily. The feature and various other services added to the list. The method only works for Samsung devices. You need an already existing Samsung account on your phone. This used to be the most common method to unlock the device before the fast upgrade of Android versions. After a few failed attempts of entering the wrong password, the screen used to display a message stating the Forgot pattern. Step 1 After you've made a few unsuccessful attempts of entering the wrong password, you will see the Forgot pattern option on the screen. Then you will be prompted to choose the method which you want to use to unlock the device. Select the Enter Google account details option and click on the Next button. Step 2 Enter your primary account details and you will be navigated to a screen where you can add a new pattern. Confirm the pattern and your device unlock pattern will be changed. The feature is like a default method in-built in various Android devices. The device requires an internet connection to work. This method can be used to understand how to delete Android password if you have enabled the USB debugging option in your phone. And you also need to connect your device to a computer via USB cable. Open Command Prompt in your computer and open the ADB installation directory. Type the command- adb shell rm /data/system/gesture.key in the space and run it by hitting the Enter key. This will erase the password file from your device temporarily. So, you need to reset the password as soon as possible. Another method that you can try out to see how to unlock a locked phone is the use of Safe Boot method. This method is also quite simple but it only works when you've set a password from the third-party app instead of the inbuilt security system. Step 1 Boot the device in Safe Mode using the power button and tap on Ok when the device prompts you to reboot to safe mode. Step 2 This will disable the third-party lock screen for some time so that you can easily clear the app data or uninstall the app. The users can also try out this method to unlock their device. But remember that this method is quite complicated and time-consuming. In this method, you will need to crash the user interface so that the home screen can become accessible again. Step 1 Tap on the Emergency button from the lock screen and press the Asterisk button 10 times from the dialer. Copy the string and paste it in the same space as many times as possible. Ultimately, the device will prevent you from pasting the string. Step 2 Now, return to the lock screen and open the camera. When the camera opens up, open the notification panel and choose the Settings option. Step 3 Once more you will be prompted to enter the password. Again paste the string in the space and keep on repeating the same step until screen crashes. When the device gets the interface working, you will be navigated to the home screen automatically. Step 1 From the boot loader screen, use the volume up and down button to navigate and the power button to select an option. Step 2 Choose the Recovery Mode option and select the "Wipe data/Factory Reset" option from the list. This will wipe out all the existing data and settings from your device and you can freely access your phone once again. Hopefully, now you understand that even though there are various methods to unlock a locked Android phone, the best method would be using Tenroshare 4uKey - Android Password Unlocker. People can look for the methods on how to unlock a locked phone but it is unlikely that you can be sure that the method works. But luckily, you have access to 4uKey which is secure, safe and provides 100% guarantee that the device will be accessible again.